help your aches and pains with either heat or cold. For your convenience I have included links to Amazon for each of these items. If you order with these links we may earn a small commission. 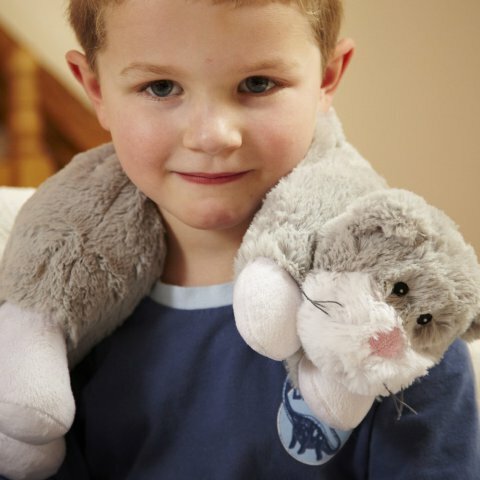 This cute kitty is made of super-soft plush material and filled with specially treated wheat grains and dried lavender flowers. Heat it in the microwave for relaxing warmth or chill it in the freezer to deal with swelling. It is a great gift for cat lovers. Fuzzy Wuzzy is a bear. Fuzzy Wuzzy is always there. 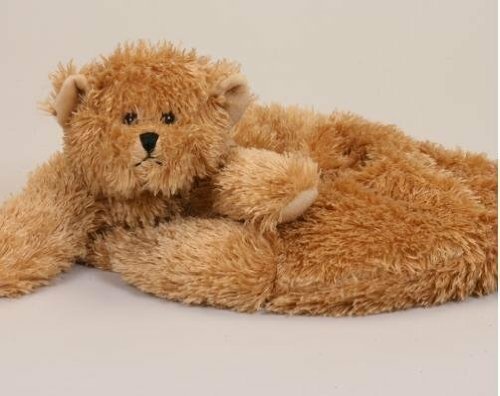 This bear is filled with flax seed and herbs to provide you with hot, cold, and aroma therapy. He also provides a nice snuggly feel to comfort you after a long day. This cute little canine will be your best friend as he can be heated or cooled to comfort your aches and pains. His generous size will also cover your shoulders. Just the thing for dog lovers and an extra bit of warmth and comfort on a cold day.